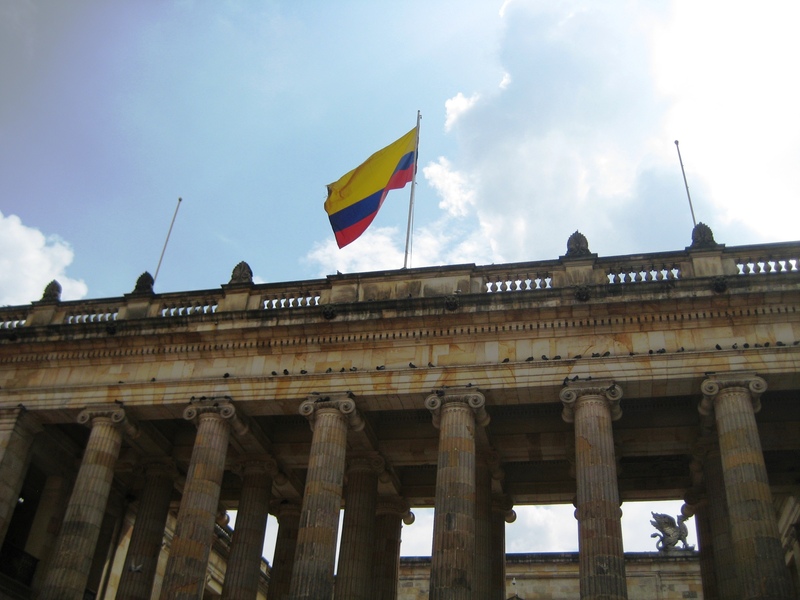 Bogota is the capital of Colombia and rests close to the center of Colombia. It has a population of around 8 million people, is at an elevation of 2600 meters, is full of history and culture, and is very spread out (sorry Juan Da). Until recently (6 or 7 years ago) the FARC, which is a guerilla movement here, was as close as the city gates. We’ll talk about that more later along with the efforts of people like President Alvaro Uribe and Oscar Morales. Throughout Colombia you will see paintings of rather large individuals and are a significant part of art history for the country. 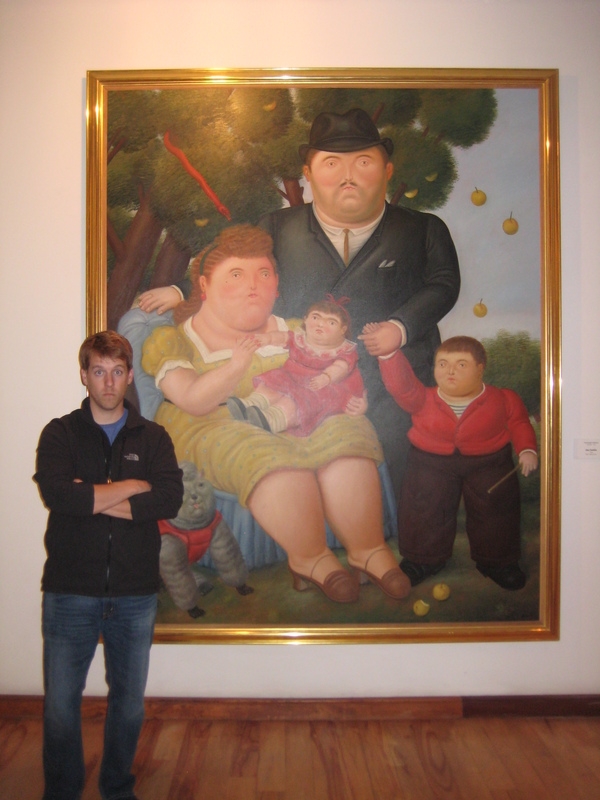 These are done by an artist named Fernando Botero and we had the chance to visit a museum that exhibited over 100 of his works along with Picasso, Monet, Renoir, and more. It was a great place to see and filled with students studying art work. Another museum we had the chance to visit was the Museo del Oro (Gold Museum), and it is in the book 1000 Places to See Before You Die so we figured we should. The place was huge and there was a ton of gold (34,000 pieces from the pre-Hispanic cultures in Colombia) and a lot of reading to accompany each piece. We spent close to 2 hours there and could have stayed much longer if we had read everything. By the time we finished we were glad to have seen it all but it was a little overwhelming and repetitive at the end. After lunch one afternoon, we were walking around and stumbled upon a tourist office which just happened to be starting a free walking tour of the city in English 5 minutes after we happened upon it. So of course we decided to join and are very glad we did so. We saw most government buildings from the Palacio de Justicia to the Capitolio Nacional to the Palacio de Narino right before it started raining. The group went into a coffee shop to wait for the rain to stop where the guide told us even more about the city along with several travel tips. 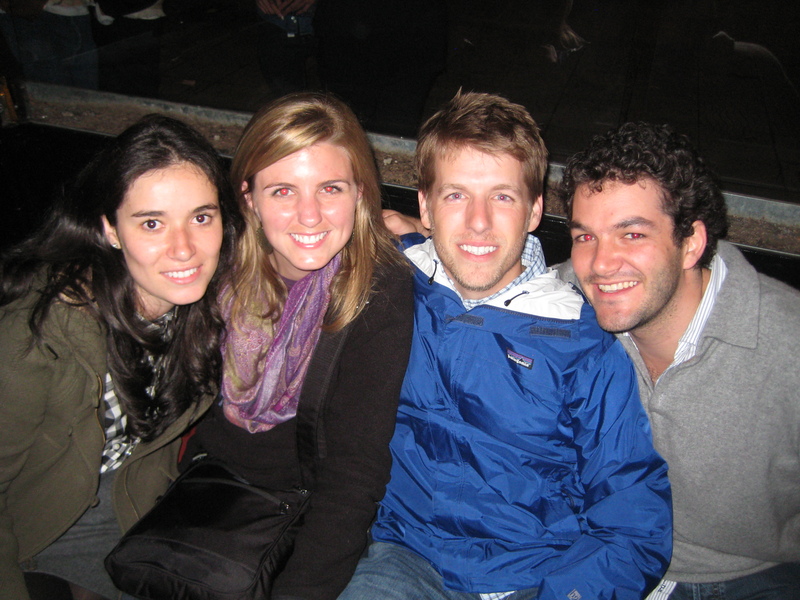 The best part of Bogota was thanks to our friend Ivan who is from the country but currently lives in DC. 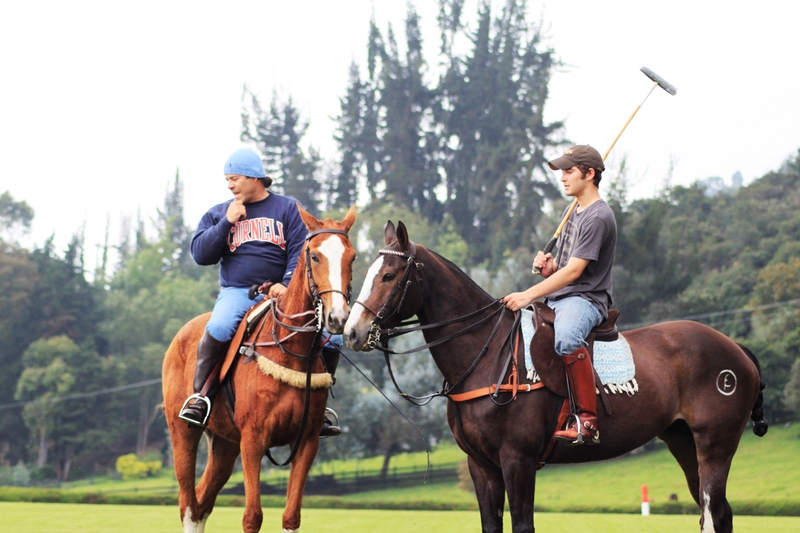 He was kind enough to set up an outing for us to his friend’s polo farm outside of Bogota. It was a terrific experience and something we will not forget. Having never seen polo before in my life, it was certainly a sight to see in person. If you know nothing about it, the sport is played on an expansive field where two teams of four compete to hit a pall through two goal posts. The part that amazed me the most is that during each game a total of around 46 horses are used. It was also interesting to see the amount of control each rider had on his horse and the visiting Argentinians were pretty dang good. Along with seeing the rest of the farm and a great bbq lunch that gave us the chance to talk politics, economics, and more it was a great afternoon. Then, we were invited out to dinner by our hosts daughter, Rafaela, and her boyfriend, Juan Daniel, who are easily the nicest people we have met thus far in our travels. After a light dinner at a tapas restaurant and a quick stop at a Cuban restaurant, we headed out on the town with the two and their friends. This is where I was introduced to the most common drink in Colombia: aguardiente. It is a light, licorice flavored liquor that is poured into small shot glasses and drank. So, we spent the night buying bottles and talking on the street and then eventually hanging out on the porch of a club. The next day Rafa and Juan Da took us out of Bogota again to a town called Zipaquira. The drive was beautiful and really made me fall even further in love with the country. We also had the chance to see spectacular views of Bogota and some crazy theme park in the middle of nowhere. Eventually we arrived to our destination and went to visit an active salt mine on the outskirts of the town. 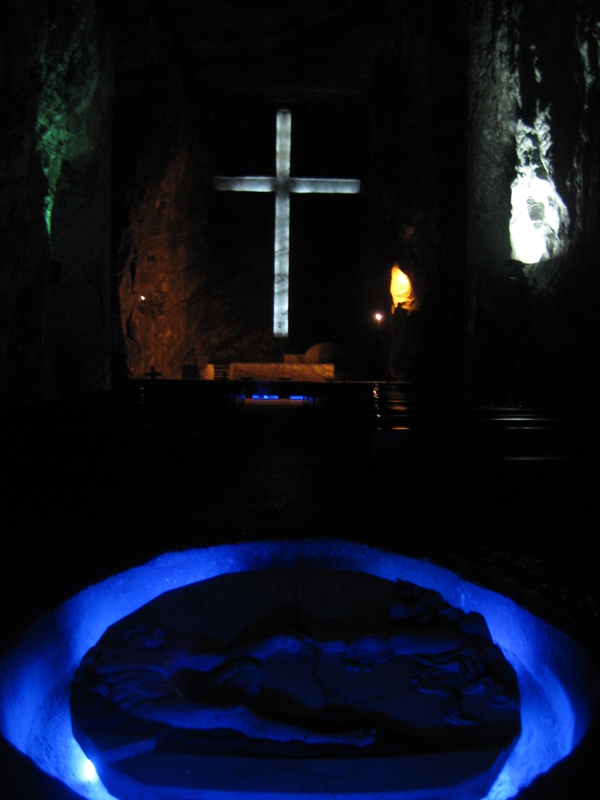 Deep within a mountain, devoted Catholic miners had carved out a salt cathedral as a place for them to worship while at work. It was a spectacular sight to see and quite moving to see what these men did for their faith. The place was huge and unfortunately the pictures do not do it justice. 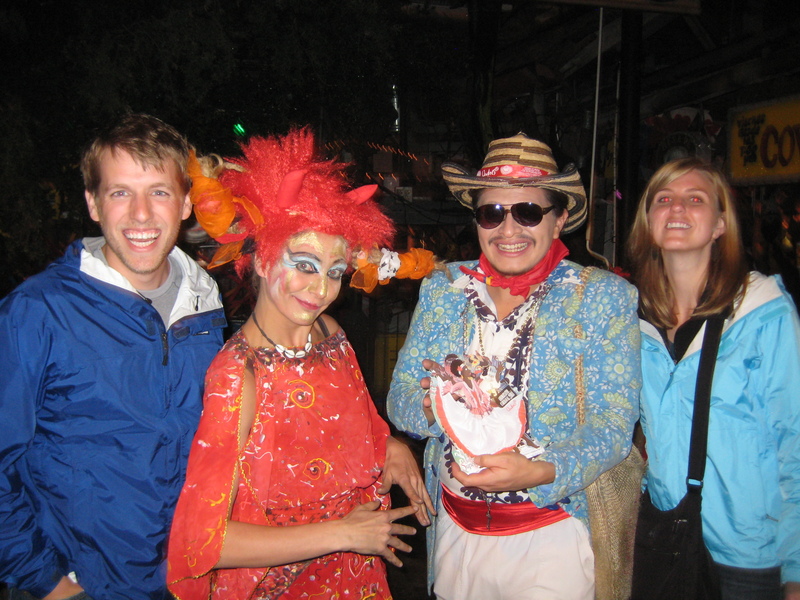 After our tour we headed back to Bogota but stopped about 30 minutes outside of the city to eat at Andres Carne de Res. This restaurant/bar is perhaps the most happening places in Colombia. It is huge and eclectically decorated by the owner who appears to be pretty crazy. We had a great meal but unfortunately had to head to the airport before the party really began. So, to sum up Bogota in one word – unforgettable. We had a tremendous time and it is particularly due to the overly kind hosts we found in Luigi, Rafa, and Juan Da. If they ever make it to Texas we will certainly relish the opportunity to show them around. Who knows, maybe one day we will be back to Bogota – MBA internship? The discussions with the guys at the polo fields must have been great. I’m loving how you two are real explorers and how you are taking time to enjoy the nuances of the environment and the culture – and the food!! Hope you two have a big budget and an extra belt! BTW, those flights must have been pretty exciting. Glad to see you are not freaking out. Will keep you in our prayers for safe journey.